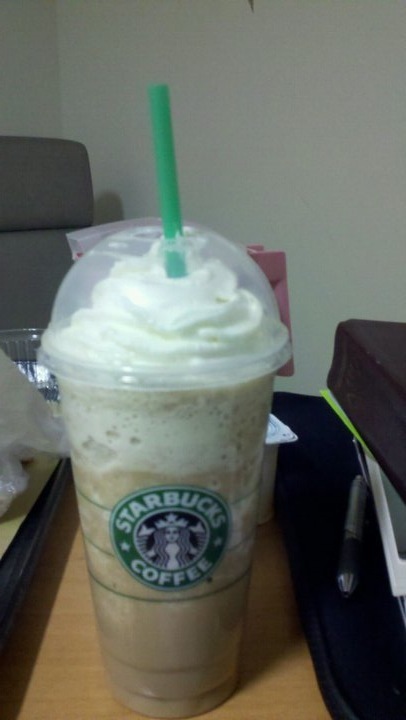 Ball(s) to the Wall: Picc lines and white mocha fraps. 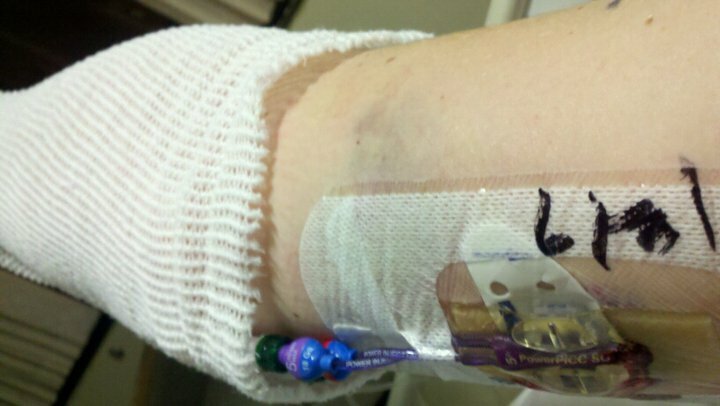 So after a 24 hour delay, I am finally hooked up to my first treatment of the the week, a 24 hour drip called Paclitaxel . Also, I got my PICC Line inserted today, which works like a charm. 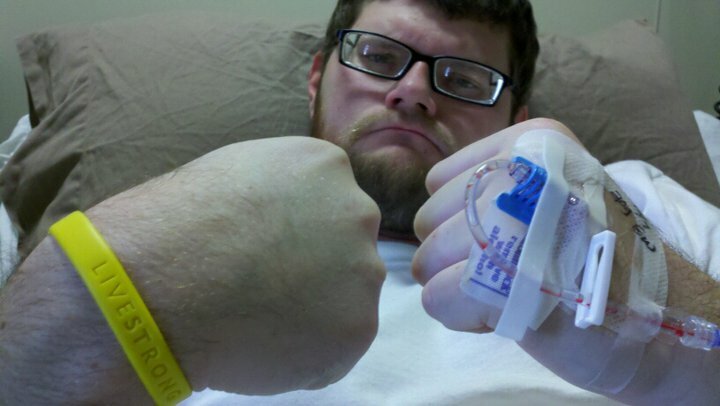 This is good because I found out today that my port is no longer functioning and has to be removed this week. My mom and grandma visited me today and I was thankful for that. Unfortunately, I was too tired to be sociable, but they brought me cupcakes and peanut butter balls :-)!! So, since I've found out that my cancer was back, I've been studying the book of Job. It has actually helped tremendously with the stress and frustration I've been feeling. Back in October, when I found out that my tumor markers were on the rise again I was extremely frustrated. I was frustrated with myself for letting myself believe my cancer was cured, and most frustrated with God, for allowing this to happen. I mean, TC is 95% curable in first line chemo and here I am now in that 5%, what the heck. I spoke with my dad to try and find some comfort in my situation and he urged me to read Job. The Book of Job (in the Bible's Old Testament) is a long poem. The Book of Job discusses why innocent people suffer. God cares about people who suffer troubles. And God will help them, although sometimes they must be patient. Job was a good man. But Job lost all his possessions. Job's children died. Job became so ill that he wanted to die. But Job refused to insult God. Job's friends supposed that Job was ill because of his evil deeds. But Job was innocent. Then, a wise man named Elihu explained the truth to Job and his friends. And God proved to them that God is great. God also showed them that he cares. Finally, God wanted Job to pray for his friends. In the end, God made Job successful again. The thing I got I got most out of reading Job is that God has a reason for everything. And I have no doubt that he is using me for something greater in the long run. I have a good life, a great wife, and an amazing support group to help me get through this trial. Well, I'm going to get off here and enjoy this frap that Dianne has painstakingly hunted down for me. So, until tomorrow, LIVESTRONG. Thank you for your blog, Paul. It is already a blessing for us and allows us to "walk alongside you" on your path. Thanks, too, for sharing your musings on Job. All of us live within this powerful, roaring power of God and can only stand in awe of this gift of life we have in His power. Your life is a great gift to all of us who know you. We're praying for you, Nephew.